There's a lot to consider when choosing suppliers for your big day, it pays to ask the big questions. We put a few together for your hair & makeup artist. Should I be doing anything to prepare my skin and hair for my wedding day? Your hair & makeup stylist may be able to give you some suggestions on what to do before your big day to make sure your skin and hair is in premium condition. How long do you need on the day to do our hair & makeup. It's really important to have adequate time to get your hair & makeup done, you really don't want to feel rushed on the day. Will you be working on any other jobs on my wedding day? 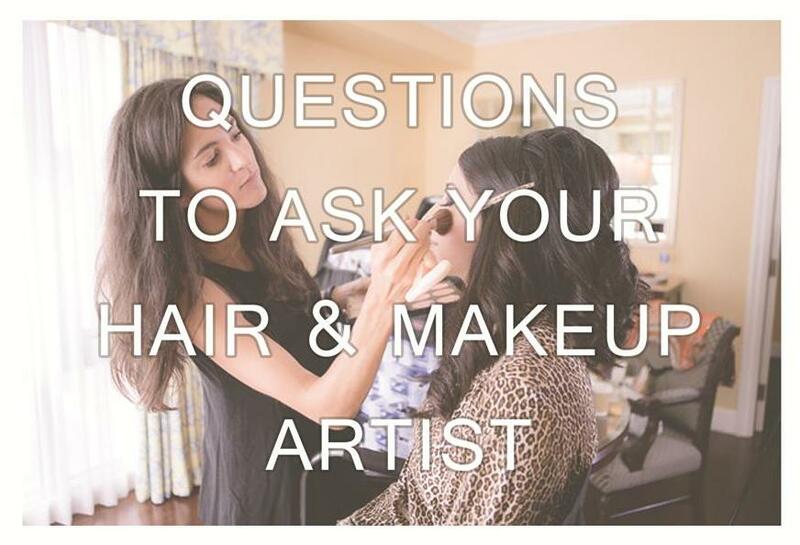 If your hair & makeup artist has other bookings on your wedding day you want to make sure they have left plenty of time in between if for any reason things run overtime at either job. How will my hair & makeup last in the heat/wind/duration of the day? This is a good time to discuss your ceremony/photo locations, timeline of the day etc. You may not know all of the products by name but a skilled makeup artist will use a variety of brands. Your stylist will likely want a picture of your dress so they know the neckline, the colour and possibly your flower colours too. Any hair accessories such a a headpeice, tiara or veil. Your'll want to know if they have included in their quote travel expenses and a trial if applicable. Is a trial necessary and when should I have it? A trial may seem like an unnecessary cost but if you are having something done that is out of the norm or you need to know how resilient your hair for example will be then it's a small price to pay for peace of mind. How should I prepare myself on the wedding day? Should I have just washed hair or day old, completely natural? Bare face? Moisturised?